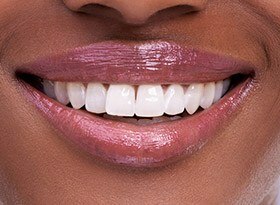 Your smile is a major part of your overall appearance and the impressions you make on others, which is why it can be so frustrating when dental imperfections arise over time. At Covina Family Dental, Dr. Tran would be happy to help you refresh your look with a personalized cosmetic makeover plan. 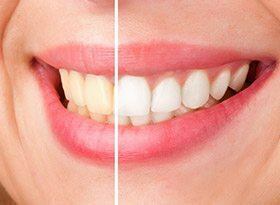 Our practice is home to several services that can get rid of stains, chips, cracks, gaps between teeth, and more, leaving patients with teeth that truly match their vibrant personality. Contact us today in Covina, CA if you have any questions, or if you’re ready to schedule a consultation. Porcelain veneers are an excellent way to give your smile a true makeover! This custom-made dental restoration is designed to be extremely thin – thin enough that Dr. Tran can fit them over the front surfaces of your teeth in a way that looks and feels beautifully natural. All at once, years of irritating flaws can be comprehensively corrected. Restorative work (like crowns and bridges) may become necessary for patients with teeth that are weakened, injured, incomplete, or missing. 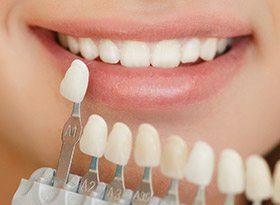 If you are worried about having to sacrifice your natural appearance for the sake of health, rest assured that our team understands the value of maintaining a beautiful smile. Dr. Tran offers metal-free restorative materials that are strong, biocompatible, and so attractive that they even reflect light just like your natural enamel. Direct bonding can be thought of as a “quick fix” for relatively minor dental concerns, such as a noticeable chip in the enamel or a stubborn dark spot that teeth whitening can’t fully erase. In most cases, this procedure will only take a single appointment of your time. 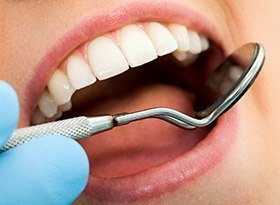 Dr. Tran will apply tooth-colored composite resin (precisely matched to your smile’s natural color) to the requested area and then sculpt it into place so that it covers the issue. The final result will be attractive, affordable, and conservative. Teeth can become discolored and dull over time for a number of different reasons, from a love of coffee to unavoidable factors like age and genetics. Here in Covina, Dr. Tran offers both in-office and take-home whitening kits that can help patients reclaim the glow they deserve in record time.